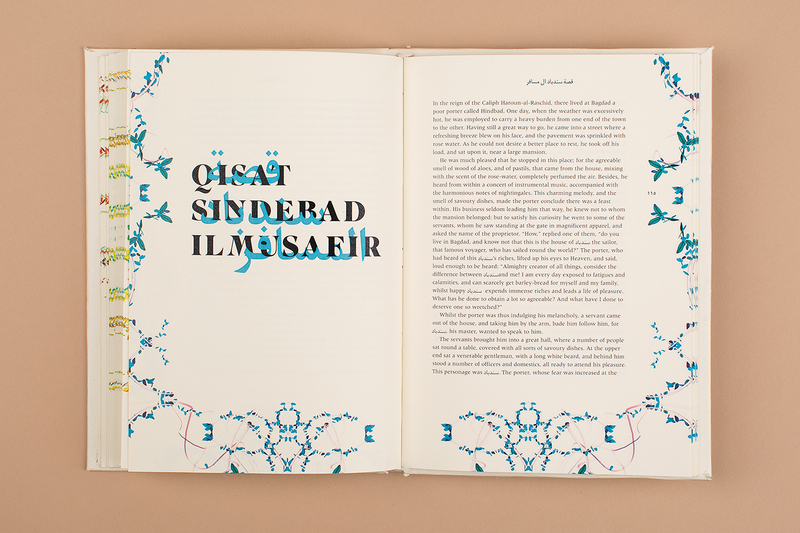 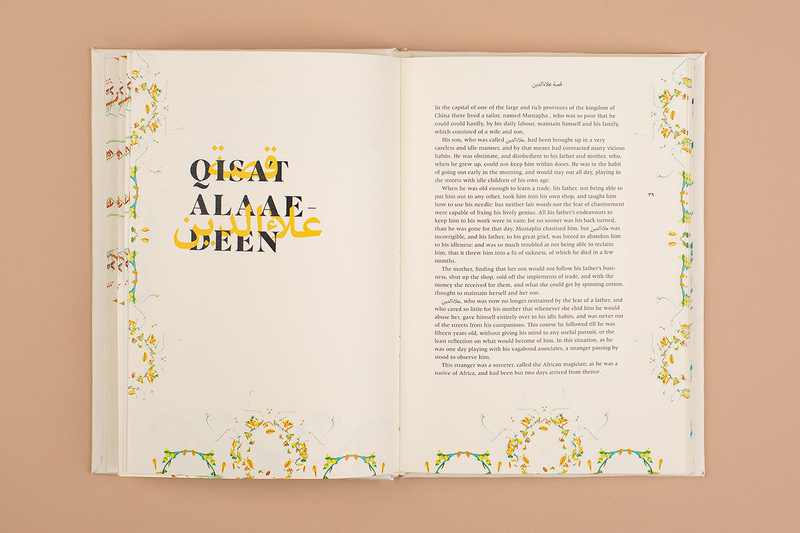 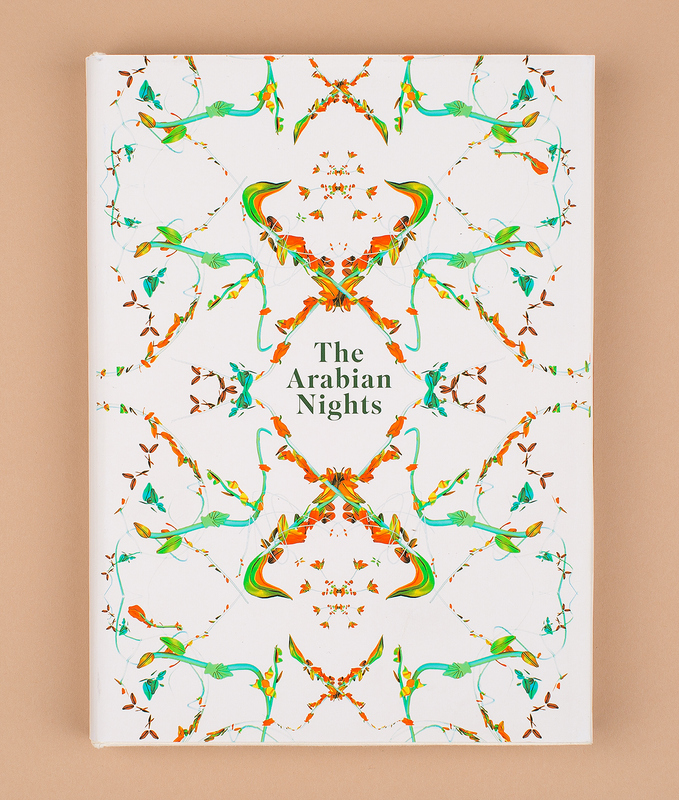 This book is a reimagining of The Arabian Nights that seeks to investigate different cultural notions of rhetorical and visual appropriation. 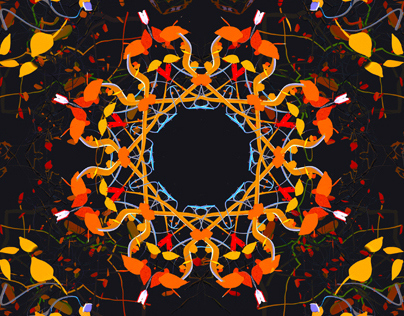 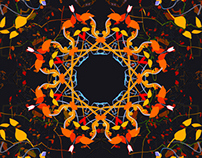 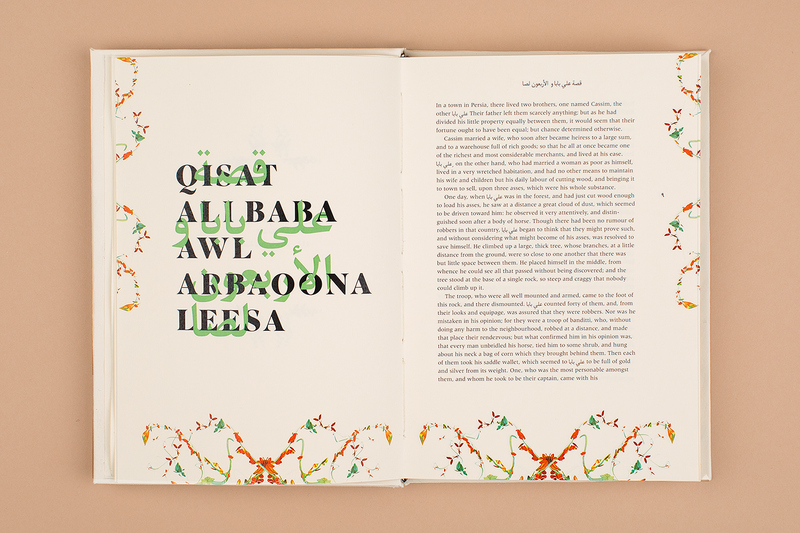 Throughout the work, the tension between Arabic and Western ideas of ornament is explored. 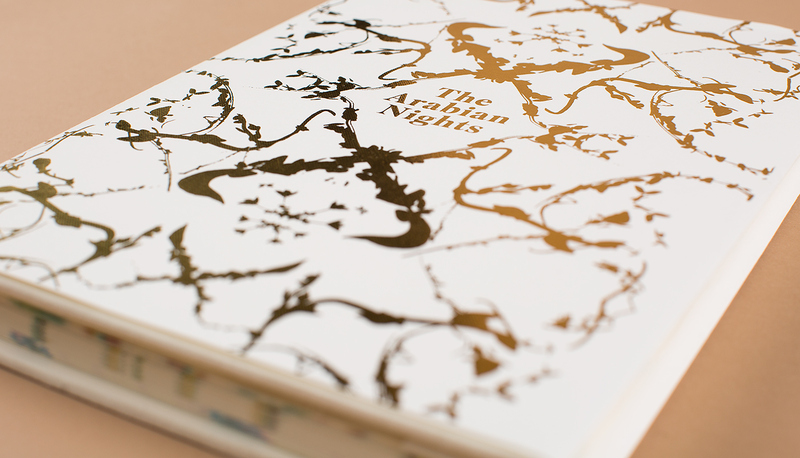 The final book contains three of the most well known stories in The Arabian Nights: Ali Baba and the Forty Thieves, Aladdin, & Sinbad The Sailor. 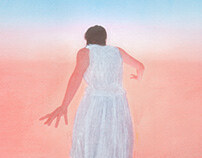 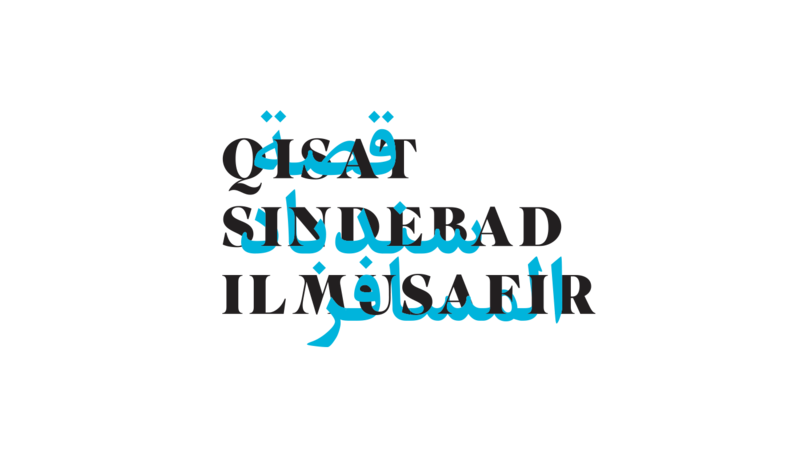 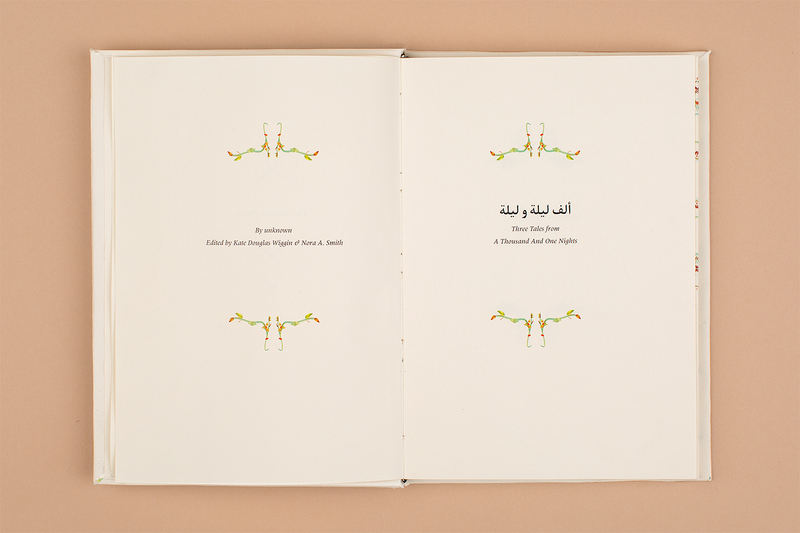 Each story is typeset in both its English translation and original Arabic. 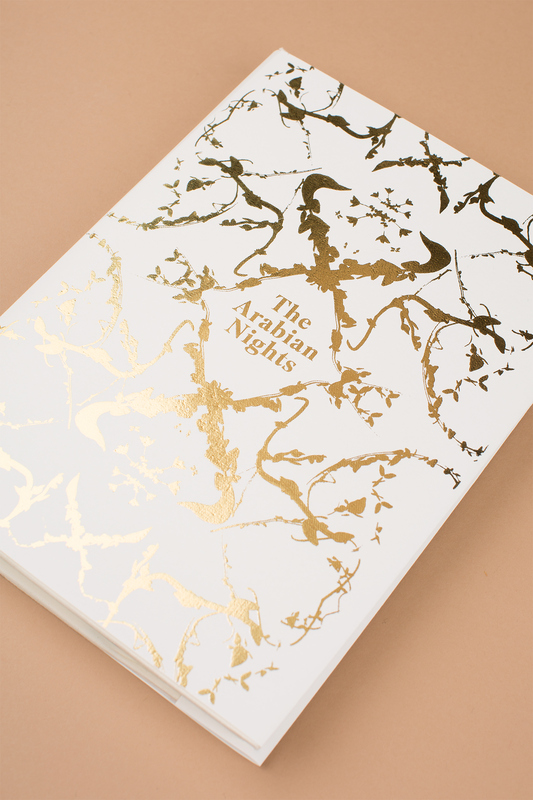 This multifaceted approach to language and aesthetics endeavors to question how our expectations of The Arabian Nights have changed in the modern era.